An intimate new dance-theatre work, Points of Echoes is a haunting tale of love, death and monsters, blending the tones of a Wes Anderson movie with the eerie dread of the Twilight Zone. 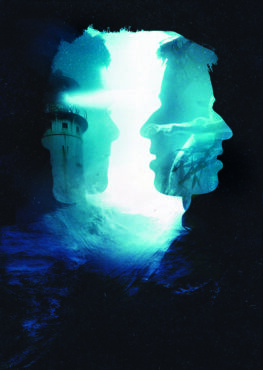 Isolated for one year Eric Valentine and Bernard Rose have been stationed at an unnamed lighthouse, at an unknown time, somewhere on the coast of England. Strangers to each other, the pair have just begun to lay down the foundations of a friendship when disaster strikes and a mysterious stranger arrives. This show is a new commission by the National Rural Touring Dance Initiative, which introduces dance companies to the delights of rural touring and audiences to new and innovative contemporary dance specially designed for small venues. Produced by China Plate, commissioned by Warwick Arts Centre and Dance East.